Simon Fraser University students got a taste of what it takes to make it in the world of technology start-up companies when Westport’s Chief Technology Officer, Patric Ouellette, was a guest lecturer at the Mechatronic Systems Engineering on July 16. 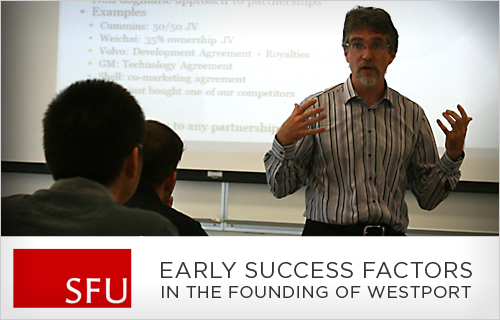 A class of about 80 students in this engineering entrepreneurship course learned about the early success factors in the founding of Westport, a Canadian University spin-off. Lecturer Maureen Hnidy said having experts who can provide real-life examples of how a company moves from a start-up to a commercial entity is invaluable to the students. The course covers a variety of topics relating to entrepreneurship for engineers such as protecting proprietary interests, marketing and operating strategies. Students are completing senior-level projects, some of which have commercialization potential. During his lecture, Patric talked about the experience of writing Westport’s first business plan. “I wish I could tell you that it’s not important to write a business plan,” he said to a few cheers in the room. 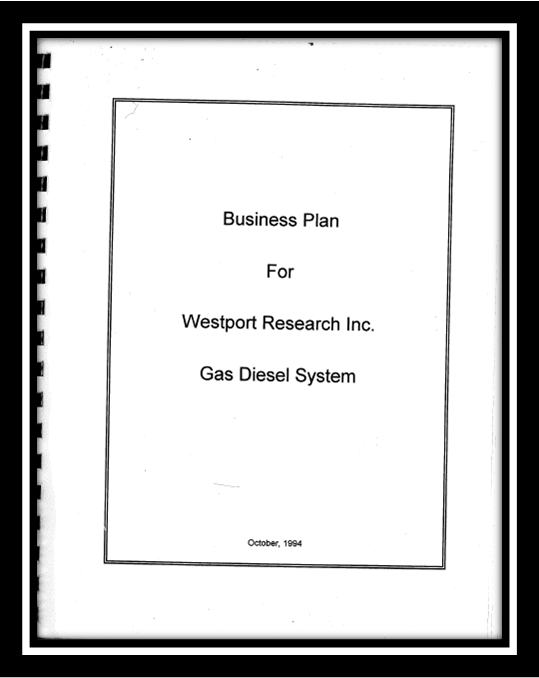 “But in reality, it’s an extremely important part of the business strategy.” He discussed how valuable it was to to look back after almost ten years at Westport’s first business plan and see how much the company has grown. He asked the students to estimate how many natural gas vehicles are in the world today. Guesses ranged from 100,000 to ten million. The correct answer of more than 16 million garnered some surprise reactions in the room. In addition to talking about the history of Westport and the company’s business planning and strategy, Patric discussed: people and culture, patents and papers, financing and partnerships and technical integrity. He said attracting and maintaining great talent and global partnerships have been a key ingredient in Westport’s success. Students asked about everything from why Wesport decided to focus on natural gas, to how much a patent costs, to how a business acquires financing. One of the most interesting questions was what advice Patric would give to students about the type of career he’d choose given the knowledge he has now. 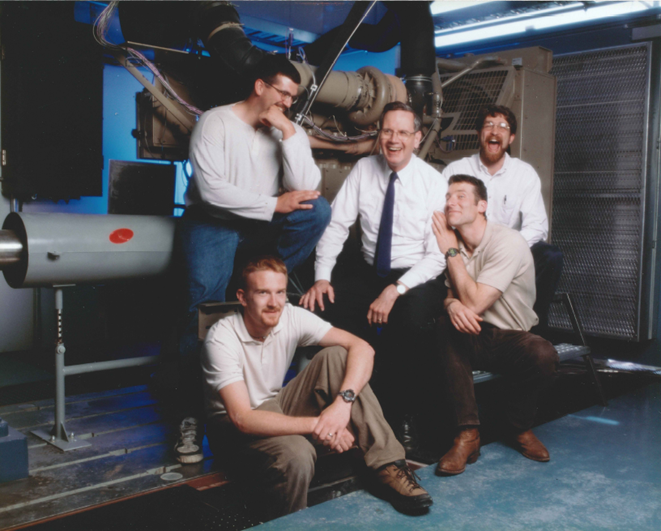 The Early Days of Westport: Patric Ouellette (farthest back on the right), Dr. Phil Hill (centre), Alain Touchette, Brad Douville and Mike Baker.